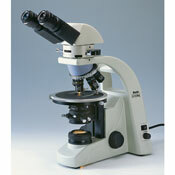 The Motic BA300POL family of polarizing microscopes offers superb optical performance, sophisticated features, and ergonomic operation for geology, life science, material science, forensics, and many other applications. 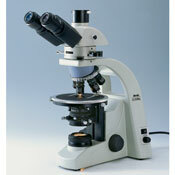 In binocular and trinocular configurations, all BA300 Polarizing microscopes feature a Siedentopf head, plus strain-free objectives and condenser for superb optical clarity. The analyzer allows for 360� rotation to provide extinction and other angles of alignment.